To me, warm weather means cool desserts. And, whenever I think of cool desserts, I always think of COOL WHIP Whipped Topping. Using COOL WHIP in my desserts turns ordinary ingredients into an extraordinary taste sensation. Whenever I'm planning something special like a bridal or baby shower, I know that I will need a few containers of COOL WHIP in my freezer. I may not know exactly how I'm going to use them, but I know they will be needed. I keep COOL WHIP Whipped Topping in my freezer all year long because I just never know when I'll be called upon to create something special. One of my favorite ways to use COOL WHIP is in fruit dips. I love the way it makes the dips light and fluffy. Whenever COOL WHIP is combined with cream cheese and powdered sugar, magic happens. I serve these featured dips with strawberries, grapes, sliced apples, and graham crackers. 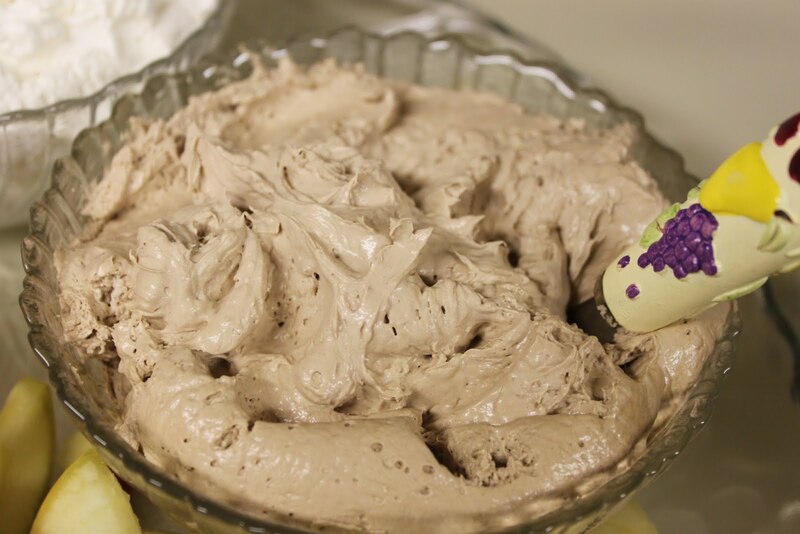 Blend the cream cheese, powdered sugar, cocoa, and vanilla together until smooth. Add the COOL WHIP Whipped Topping and blend until smooth. Refrigerate until ready to serve. With a mixer, blend the cream cheese, powdered sugar, and vanilla until creamy. Add half of the COOL WHIP and blend in with mixer. After the COOL WHIP is well incorporated, fold in the remaining COOL WHIP with a large spoon or rubber spatula. Refrigerate until ready to serve. Another way I love to used COOL WHIP is in my banana pudding. I use boxed instant vanilla pudding. I follow the pudding directions and then add an 8-oz. container of thawed COOL WHIP. Then, I layer the mixture over the vanilla wafers and sliced bananas. But, you don't have to get out your mixer to make magic with COOL WHIP. All you need is a spoon. Add a dollop of COOL WHIP on your pudding or gelatin cup to make it a special treat for your child or yourself. Slice up some fresh strawberries and sprinkle them with sugar. 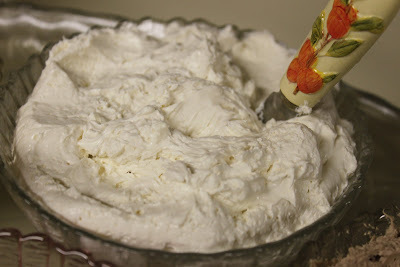 Allow to sit a few minutes and then add your COOL WHIP. Wonderful! Do you have a special dessert you'd like to share? Enter COOL WHIP's Fan Dessert of the Month Contest for a chance to win $500! Simply make a COOL WHIP dessert, take a photo, and upload it here. Enter now! Disclaimer: Sponsored posts are purely editorial content that we are pleased to have presented by a participating sponsor. Advertisers do not produce the content. I was compensated for this post as a member of Clever Girls Collective, but the content is all my own. Yes, they certainly are! I heart me some cool whip. Cool Whip is one of the things I miss living in Australia. No such thing here and I miss it. I love these two dips. I bet that they are delicious.